Powerful, profound advice on how to live a peaceful and fulfilling life amidst all the conflicts of the modern world. In this distillation of his life and teachings, the Dalai Lama paints a compelling portrait of his early life, reflecting on the personal and political struggles that have helped to shape his understanding of our world. 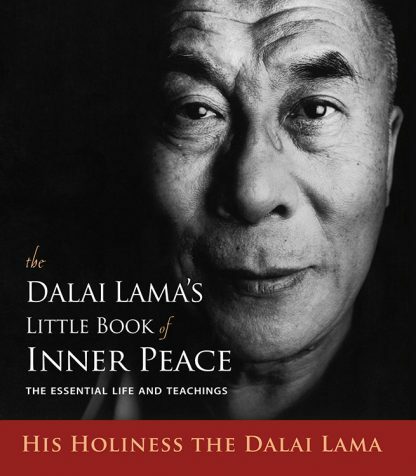 Offering his wisdom and experience to interpret the timeless teachings of the Buddha, The Dalai Lama's Little Book of Inner Peace is fresh and relevant to our troubled times. He explains in a simple and accessible way how each of us can influence those around us by living with integrity. And he holds out hope that, through personal transformation, we can all contribute to a better world. Tenzin Gyatso, His Holiness the 14th Dalai Lama, is the exiled spiritual leader of the Tibetan people. Born in 1935, he was recognized at the age of two as the reincarnation of the thirteenth Dalai Lama and was enthroned in 1940. Following the suppression of the Tibetan national uprising in 1959, he was given political asylum in India. He is widely recognized as an advocate of world peace and has received many honors, including the Nobel Peace Prize in 1989.